Every week, a different citizen of the country will be named 'Curator of Sweden' and he/she can tweet their own unique impression of Sweden. In 2011, Sweden was declared as the first country in the world who lets its citizens control the country’s official twitter account. The project 'Curators of Sweden’, a social media campaign initiated by Svenska Institutet and VisitSweden, is administered by the Swedish Institute with the main concept of a rotating spokesperson, on the official twitter account of Sweden, @sweden. The concept originated on December 10th, 2011. 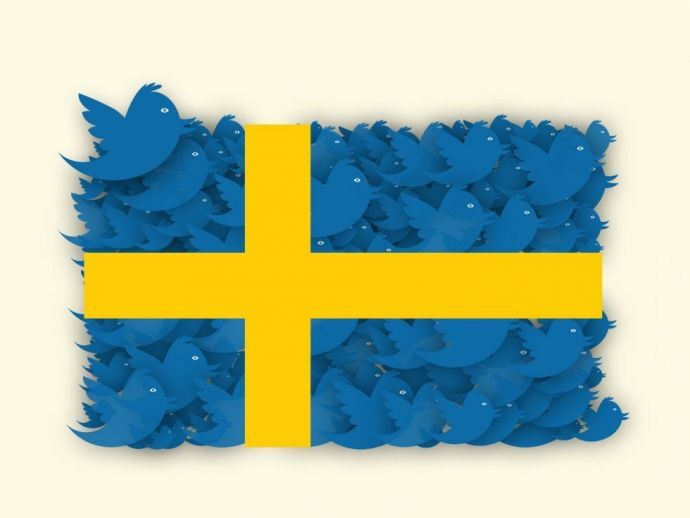 Every week, a new person gets to tweet through the official twitter account of the country, with the expressed goal to manifest Swedish diversity and progressiveness through their own life, personality and views. Through the stories of the various curators, not one Sweden is conveyed, but several. The project predominantly focuses on making more people familiar with the country. With the increasing globalisation, the status of a country depends largely on how it is perceived abroad. Country’s political objectives, investments, creativity, exchange of talent, trade and visitors are all judged on the opinions of the outside world. Sweden’s development and future prosperity depend on strong relations with the outside world and a more active exchange with other countries. This is only possible, only if more people from across the world are fully cognizant with Sweden and become more captivated in the country and what it has to offer. To achieve this, what good source would be more suitable other than the boundless global microblog. Being the global social networking service, twitter as a medium makes it easy to reach the target audience in real time, with quick updates and shared content. Anyone can follow @sweden, and the network’s global reach means that the message can be received all over the world. Hence, the reason behind using twitter as a source. Moreover, it can also be very useful in engaging followers in a dialogue. My ancestors used to get up at 5AM to take care of cows. I get up at 5AM to take care of you, my followers, because I am Sweden and I care. The thought with the Curators of Sweden is that, through their tweets, the curators will help create awareness, develop interest and trigger curiosity for Sweden and everything the country has to offer. Furthermore, the curators will share both their own and relevant third party’s thoughts, stories, information and other content that is in one way or the other linked with to Sweden. The expectation is that the curators will describe the country in a particular way, different than that usually obtained from the traditional media. they are a security threat. The twitter account is a platform that supports the idea of free speech and democracy, a space that invites views, opinions, wisdom and humour. It’s meant to invite debates and not hate and trolling. The first ever Curator of Sweden was Jack Werner, whose tenure as a curator was from December 10th, 2011 to December 18th, 2011. "Who? ", you might say. Well, it's @kwasbeb from the @sweden account. You know, the dude with the offensive jokes. The tasteless one. The curators also have a blocking policy, wherein they can block twitter users who interact with the account if the person deems necessary. Those accounts will remain blocked when a new curator takes over the account the following week. These measures are taken to ensure the wellbeing of curators as well as to protect freedom of speech. Someone who is located in Sweden (citizenship irrelevant), or a Swedish citizen abroad. However, a person cannot nominate himself/herself - but are free to suggest a suitable candidate. The campaign has been widely reported in media around the world and it has also inspired the launch of many similar projects. The Twitter account @PeopleofLeeds started January 15, 2012, where citizens of Leeds (a city in England) represent their hometown. Commenced on January 18, 2012, @WeAreAustralia and @TweetWeekUSA, followed by @CuratorsMexico and @BasquesAbroad on January 21, all of these are unofficial accounts without governmental influence or sanctions, as well as the actual foundation for the concept of Rotation Curation, which is to let official and unofficial projects, countries, cities, companies, cultural, and, or other types of groups to rotate their spokespersons, curators, every week, unlike @sweden. They have recently been given a concept name of Rotation Curation. The project, Curators of Sweden, won The Golden Egg (Guldägget) on April 17, 2012, received gold in the Clio Awards on May 15, 2012, and was awarded Grand Prix at the Cannes Lions on June 20, 2012.